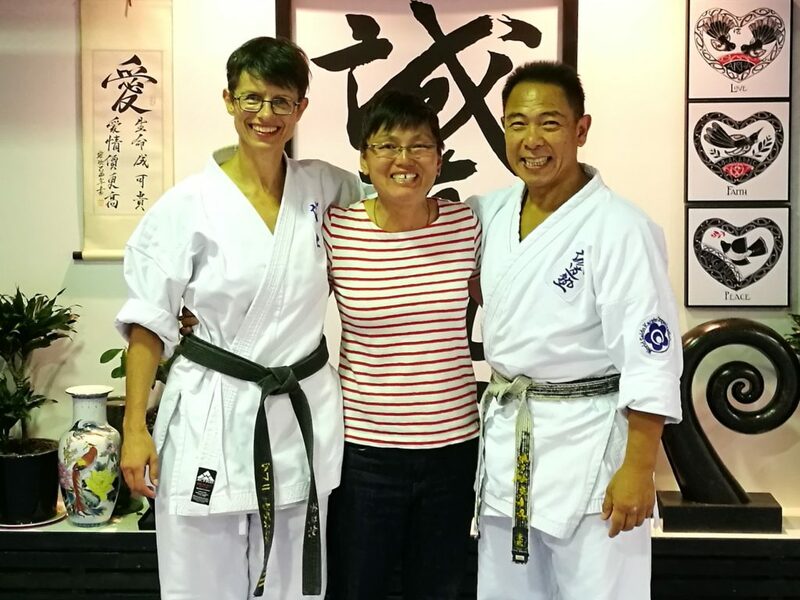 Friends since 1986, the pair met at a women’s self defence course where Jenny recommended that Sensei Mel try SEIDO Karate…. 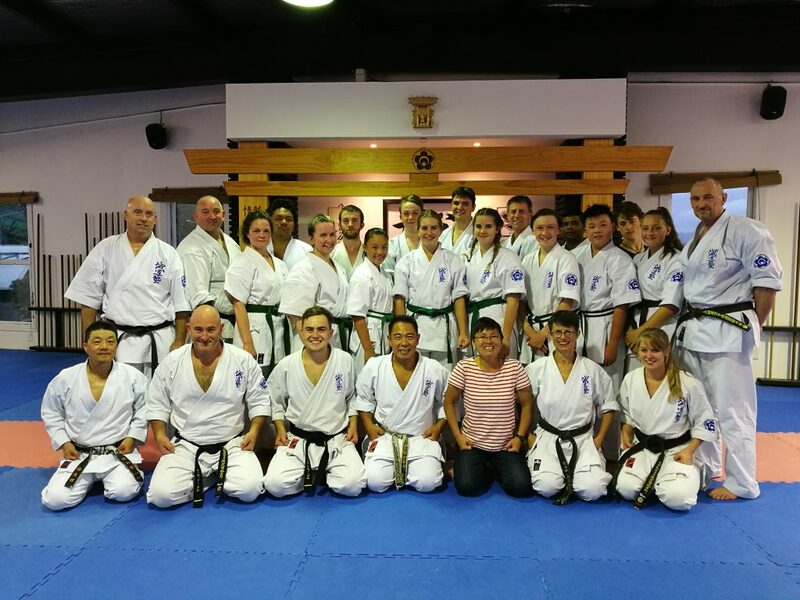 The rest is history….we are very grateful that Sensei Mel tried SEIDO as a great number of everlasting friendships have been created because of it…. 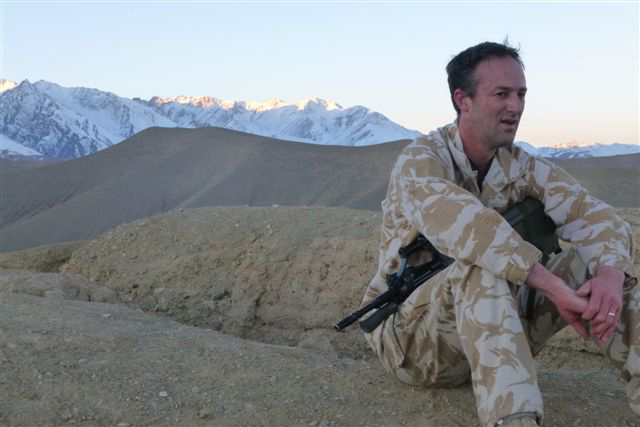 Hi, I am Sholto Stephens and I am in the New Zealand Army. I often have the fortunate opportunity to represent New Zealand overseas – at present I am serving in Bamyan Province, Afghanistan. My key role here, along with about 150 other Kiwi's, is to help make Bamyan province (about the size of the Manawatu and Taranaki combined) a safer place for people to live their lives in a normal way. Afghanistan has been a country consumed by internal conflict and war for over thirty years and many Kiwi's have already passed through Bamyan Province (which has a population of about half a million people) to make it safer for them. When we first arrived here back in 2003 there were no schools open for kids to go to; nowadays there are hundreds of them, for both boys and girls. This is one of the many signs of the good that has happened since we starting operating in this Province. I enjoy everything that I do with the New Zealand Army; having the chance to represent my country overseas on missions like this is a real privilege. 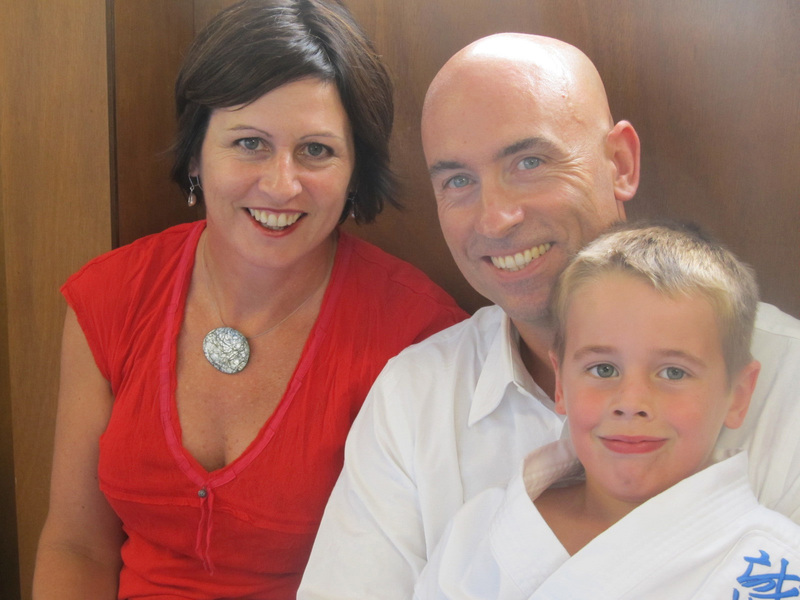 We are privileged to have the most amazing students and families at Seido Karate Lower Hutt Dojo…. 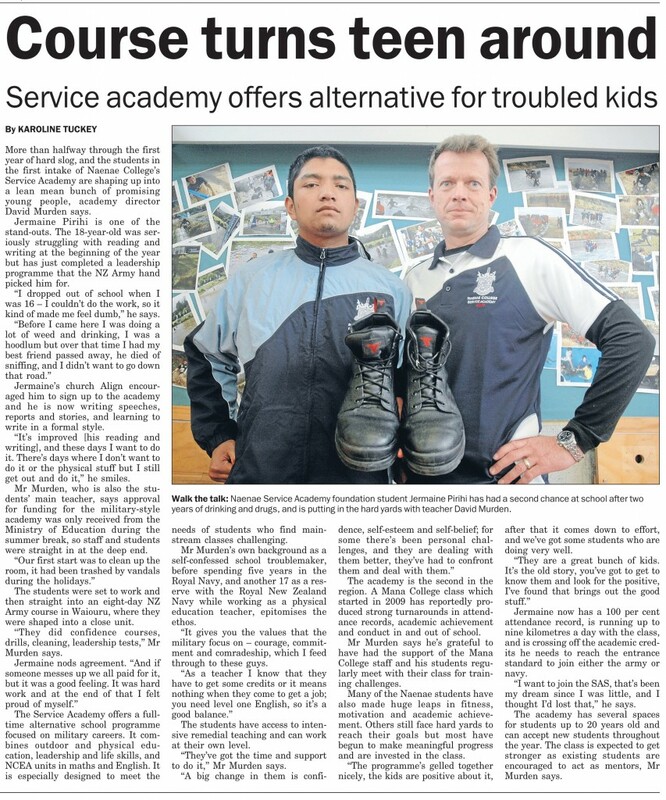 Below we highlight the efforts of one the Dojo’s most amazing Dad’s….David Murden….who received a special mention in the Hutt News about his work with the Hutt Valley’s youth. In the middle of last year (2011) after 6 months of my lovely eldest son struggling socially at school, and have done all that I could with in the framework of the school, I knew that Patrick needed something for himself, to grow his confidence, awareness and something to “ground” him. Somebody suggested dance, (no that’s not Patrick), martial arts I thought, not Karate (too violent) not Taekwondo (too many legs) Aikido (can’t find a decent schedule anywhere). Then I met a lovely bright bubbly lady who suggested Seido Karate (never mind the violence they do meditation). So tentatively I took Patrick along one evening to be told there was a grading on (not a clue as to what that was) stayed and watched, Patrick seemed highly disinterested, I decided it was perfect!! Patrick was highly reluctant to go to his first class, but afterwards he was hooked and hasn’t looked back since, and always seems to be practising around the house (please Patrick no kiai right now Diana’s asleep). As for me, I sat on the sidelines watching, and rather liked what I saw. At first I thought “no I won’t indulge myself in this, it’s for Patrick”, but I couldn’t resist one little class – which I loved, my little voice in my head chipped in though and said “still though this is for Patrick and I’m so busy how can I fit it in. A few months later I took Patrick to his Saturday class we arrived rather early and got to watch the adults being taken through their Kata by Sensei Ken. Sensei Ken put on Earth song on by Michael Jackson, the Kata I saw was beautiful, graceful, dynamic and intense then there was the explosive sound of the “Kiai”. A week or two later I went along (because I know one day I’ll get to learn that Kata) and I have loved every moment since – even when I feel like a completely uncoordinated gimp! My 6 year old daughter has also got in on the act, and I think my younger 2 children also want a piece of the action. For me as a person, for a few times a week I get to completely put my attention in one place rather than in the 4 plus place’s it seems to be the rest of the time, and I seem to now be getting a better grip on the mad rush that seems to surround me. 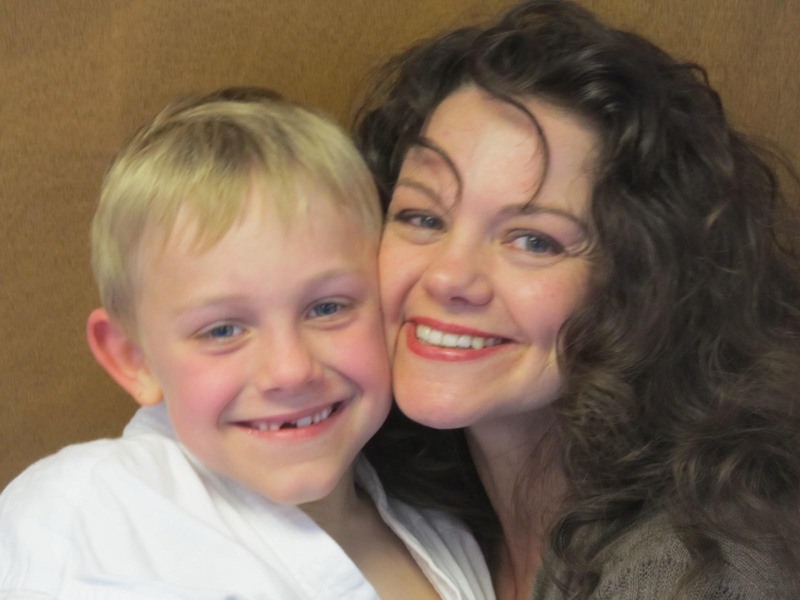 As a mother I’ve seen my son become more grounded and take on more responsibilities at home, plus take a pride in the things he has achieved such getting through his first grading (with some motherly encouragement from the sidelines) and to his great delight obtaining his blue belt. 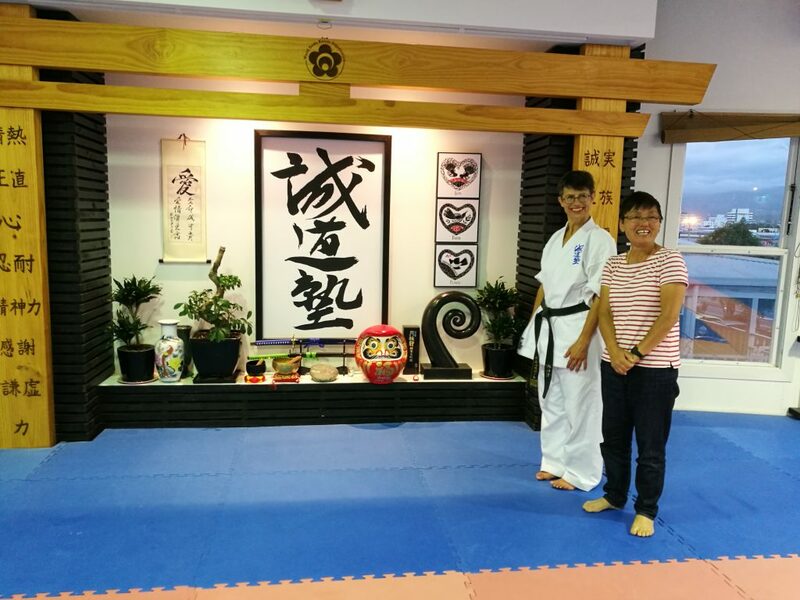 The Dojo has become a very special place for my family, not to just train hard in, but to also have fun in and come together with others to create a truly warm and encouraging community. Many thanks to Sensei Ken for the all the time and energy he devotes, it is truly appreciated. All the credit for the kids’ achievements on Sunday at the Quadrangular Tournament must go to you. 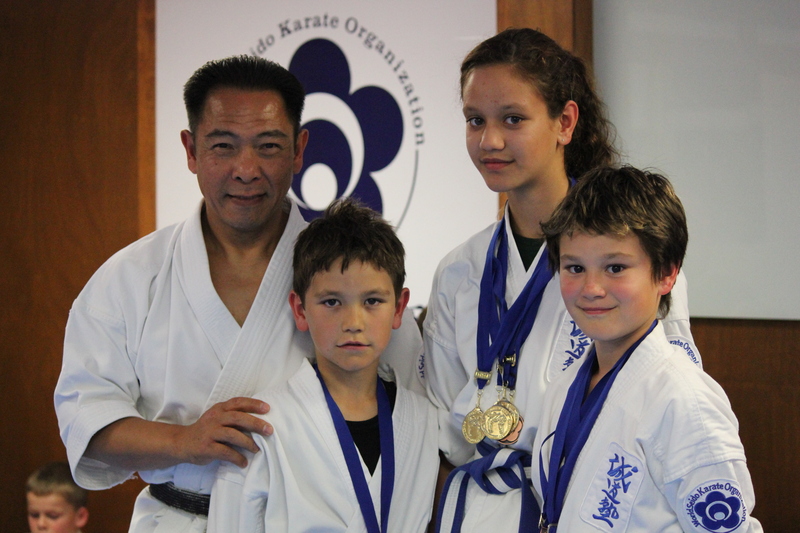 My kids are all so appreciative of the support and time that Don and Wendy have for them and all the other children from the Lower Hutt Dojo. There is another special person who is just like his dad, that they would also like to thank. Yes, it is your son Leighton. What a great son you have and yes, Caitlyn wants to take him on. Kingi is just amazed he makes time for him and for Mikayla, well she just finds him so talented. 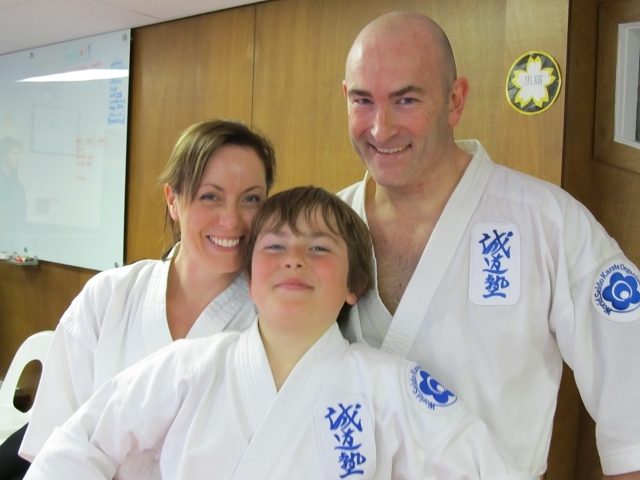 Tony and I are so glad that the kids have been given the opportunity to join the Lower Hutt Dojo. What you have taught our kids (respect, self-achievement, setting goals, personal well-being and self-discipline) the list goes on. They have implemented these values at home and at school. Training at home is done by personal choice. I will always find Mikayla and Kingi practicing what they have been taught daily. As for Caitlyn she is very stubborn and chooses to do things when it suits her (which is very late at night and in the early hours of the morning). Tony and I are getting used to their screaming and yelling, at least it’s for a positive purpose. 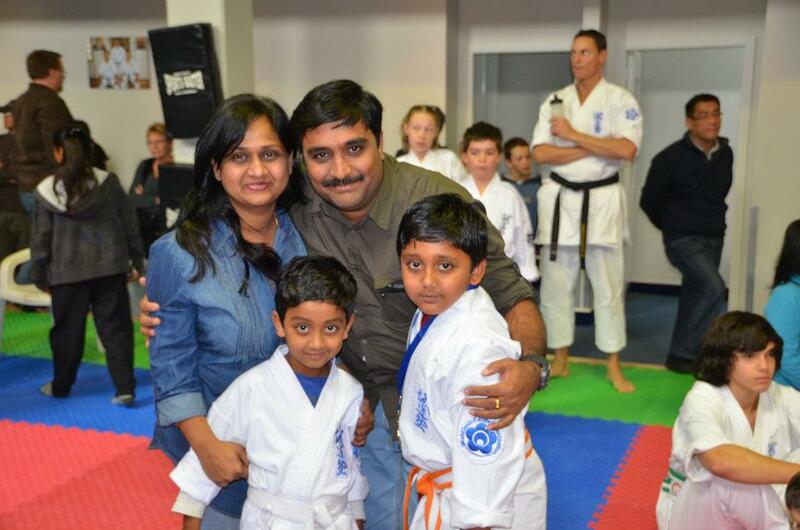 Despite having studied karate myself, I personally have not taught my kids any Karate, which does annoy them at times. It was their choice to take up Karate, I'm just so glad we found you. We don't set high expectations for our kids, but encourage them to do their best and persevere with any challenges that arise. …." Whaia te iti kahuranga ki te tuahu koe me hemaunga teitei"….. Aim for the highest cloud, so that if you miss it you will hit a lofty mountain. Which is often interpreted as giving your heart and soul to any project to reach your goals, but if you don't quite make it you are one step closer. With perseverance comes achievement. Once again thank you Sensei Ken, what a great mentor you are.